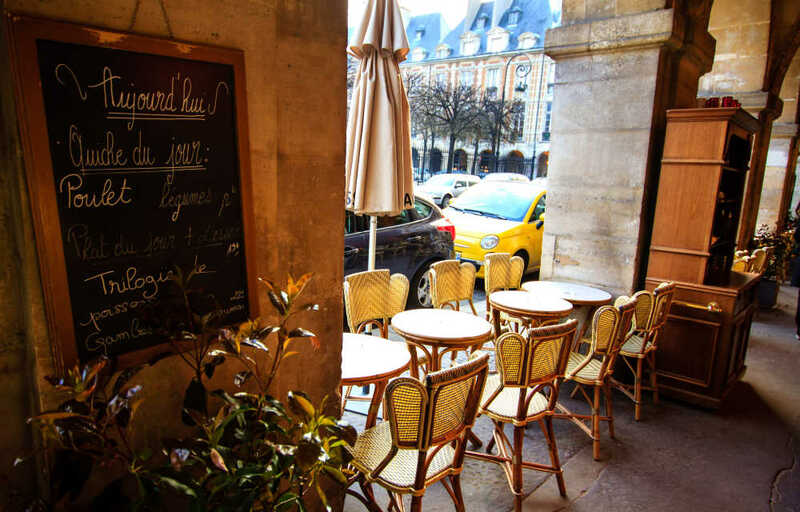 The city of lights has a plethora of exceptional restaurants and bars. From Montmartre to Marais, the eating options from international cuisine to local dishes in Paris are countless. The Belleville district offers a number of Chinese, Vietnamese and Italian restaurants. Would you like to get vegan and vegetarian dishes? 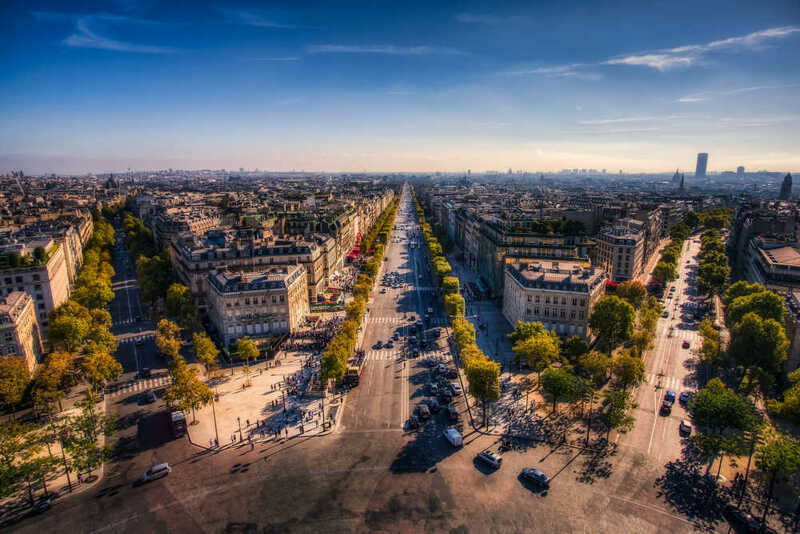 You will find many options around le Marais. Famous for its boulangeries, croissants and macaroons, you will be more than delighted. If you are looking for vegan and vegetarian eateries, here you would enjoy one of the best options. It is one of the best places to go to for breakfast, brunch and lunch! Try out this Melbourne style café while staying in Paris. Are you craving some Italian food and wine? Le Bookie serves a wide variety of Italian dishes! If you want to have some delicious French pastry, Ladurée will mesmerize you with its vast selection. Taste some authentic and contemporary French food in this nice little restaurant. Here you have the chance to treat yourself and indulge in some delicious crêpes and ciders. This bar is located at an industrial-looking building in Le Marais district. 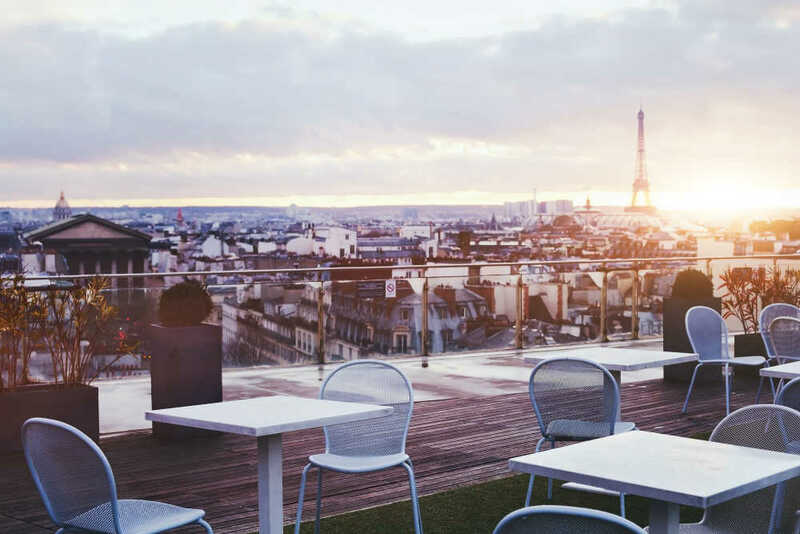 From here, you will get an astonishing view of the Parisian rooftops while drinking a cocktail and eating a snack!